Explore the numerous day-trip ideas around Perth: Mandurah Cruises (in Mandurah), Fremantle (South Beach Recreation Reserve & Fremantle Prison) and Rockingham Beach (in Rockingham). 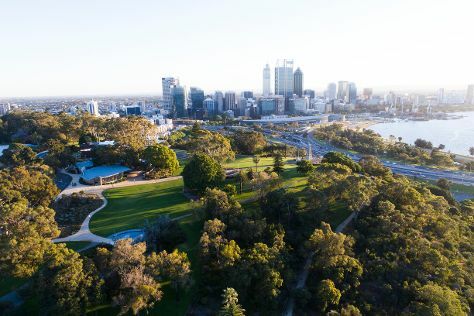 There's lots more to do: take in nature's colorful creations at Kings Park & Botanic Garden, meet the residents at Perth Zoo, pause for some photo ops at Kings Park War Memorial, and enjoy the sand and surf at Trigg Beach. To see traveler tips, reviews, maps, and tourist information, read Perth trip builder website . Toronto, Canada to Perth is an approximately 28-hour flight. The time zone difference when traveling from Toronto to Perth is 13 hours. Expect much warmer temperatures when traveling from Toronto in December; daily highs in Perth reach 35°C and lows reach 17°C. Wrap up your sightseeing on the 5th (Sat) to allow time to travel to Melbourne. Explore the numerous day-trip ideas around Melbourne: The Great Ocean Road (in Torquay) and Werribee Open Range Zoo (in Werribee). Dedicate the 10th (Thu) to wine at some of the top wineries in the area. There's lots more to do: admire the natural beauty at Royal Botanic Gardens, enjoy breathtaking views from Eureka Skydeck 88, indulge your taste buds at Food & Drink, and browse the collection at State Library of Victoria. To find photos, other places to visit, ratings, and other tourist information, read Melbourne trip itinerary site . Traveling by flight from Perth to Melbourne takes 6.5 hours. Alternatively, you can take a train; or drive. The time zone difference moving from Australian Western Standard Time to Australian Eastern Standard Time (Victoria) is 2 hours. Expect little chillier temperatures when traveling from Perth in January; daily highs in Melbourne reach 32°C and lows reach 17°C. Wrap up your sightseeing on the 13th (Sun) early enough to travel to Sydney. Spend the 20th (Sun) exploring nature at Sydney Harbour National Park. 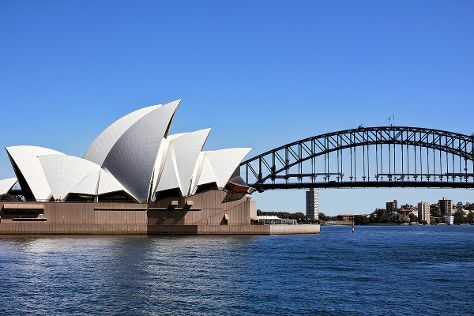 The adventure continues: catch a live performance at Sydney Opera House, wander the streets of Darling Harbour, kick back and relax at Coogee Beach, and tour the pleasant surroundings at Bondi Beach. For traveler tips, other places to visit, ratings, and more tourist information, read our Sydney online trip itinerary maker . Getting from Melbourne to Sydney by flight takes about 3.5 hours. Other options: do a combination of shuttle and flight; or drive. Traveling from Melbourne in January, plan for a bit warmer nights in Sydney, with lows around 23°C. Wrap up your sightseeing by early afternoon on the 21st (Mon) to allow enough time to travel back home.